The NHL season is months away, but the Minnesota Wild will have a big challenge in their home opener. The Wild will host the Western Conference champion Vegas Golden Knights on Oct. 6. We also know Minnesota will play Oct. 4 in Colorado for the Avalanche’s home opener. The NHL announced all home openers Wednesday with a full schedule release coming Thursday. Vegas, an expansion team in 2017-18, had a 51-24-7 regular-season record and made it all the way to the Stanley Cup Final before losing to the Washington Capitals in five games. 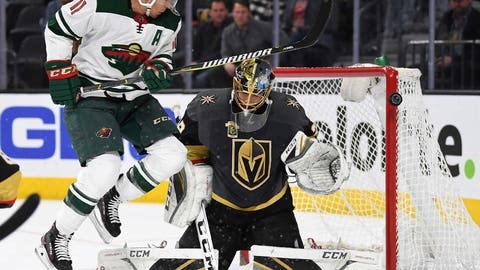 However, one team which fared well against the Golden Knights was Minnesota, which swept the three-game season series, including home wins on Nov. 30 and Feb. 2. The Wild hope for a repeat in 2018-19, beginning on Oct. 6.